We are proud to say that we have been servicing Newtown and the surrounding areas for years and we hope to continue to do the same for you and your neighborhood. We take pride in the work that we do. We put time and effort into all of our fences. We know the importance of doing a good job and keeping our community looking great. This is why we are so highly recommended throughout Newtown, CT. If you are a property owner that lives in Newtown, whether you own a residential property or commercial property, our fences will be able to provide many benefits for you. They provide privacy and they are a great way to provide a barrier that you can use to separate your private property from the public roads and sidewalks. If you own a commercial space in Newtown, a fence may be a good addition to your property. It will allow you to separate your business from neighboring structures if needed, and you can use fencing around your parking lot to keep people from cutting through it. It helps to increase the safety your property that you could otherwise be held responsible for. Homeowners that live throughout Newtown have been enjoying the benefits of our fences for years. Our fences look great, they function perfectly and they last a long time. We provide a variety of different fence choices so that you can find the exact type of offense that will suit your home. These fences are great for adding privacy to your yard and creating an enclosure for your pets. Your pets will enjoy the new found freedom that they have to be able to run around in your yard without having to be tied down on a leash. Likewise, you will enjoy how easy it is to simply let your dog roam through the yard freely and call them inside when the time comes. They won’t get tangled or snagged on trees and other debris in your yard thanks to your new fence. 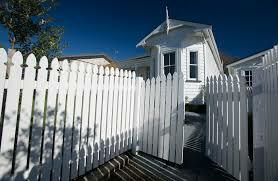 Homeowners also enjoy the benefits that fences provide by keeping out trespassers. We hear a lot of complaints about homeowners telling us how they have a lot of people walking through their yard. They use a fence to serve as a solution for this. Once the fence is up, you won’t have to worry about trespassers cutting through the yard anymore. This is especially useful for houses that live on corners that will otherwise have people cutting through it.